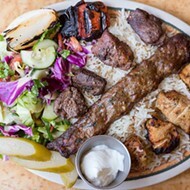 Lemmons' cevapi flatbread, "Balkan Dipping Board" and "King's Kabob." 5800 Gravois Avenue, 314-899-9898. Tues.-Thurs. 4-11 p.m.; Fri.4 p.m.-midnight; Sat. 11 a.m.-midnight; Sun. 11 a.m.-10 p.m. Closed Mondays. Growing up in St. Louis, the Grbic siblings — Senada, Erna and Ermin — were spoiled by home-cooked Bosnian cuisine, lovingly prepared by their mother. It wasn't that she just knew how to cook well; every Saturday morning, she would rise at 4 a.m. to begin preparing a feast that would last them throughout the week. She began by baking traditional Balkan bread, then moved on to a host of authentic specialties, like chicken soup with spinach noodles, cabbage rolls stuffed with ground beef and rice, cevapi, goulash and everything in between. The spread was so good, it later became the basis of the family's successful Bosnian restaurant, Grbic. And yet all the kids wanted were some tacos. For the Grbic kids, the sensation of growing up with a foot in two different worlds was most pronounced when it came to food. Though gourmet Bosnian cuisine was a daily occurrence, they longed for the food their classmates were eating — pizza, burgers, tacos. They got their wish twice a week, on Thursdays and Fridays, when their mom would allow them to decide what was for dinner. But while she obliged, she'd always add her own twist. 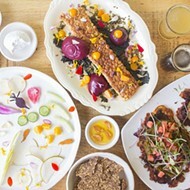 Burgers were served atop Balkan bread, and taco meat was seasoned with Bosnian spices before being garnished with a cucumber and green onion salad. It was the American food they wanted, but still solidly rooted in the cuisine of their family's homeland. Chef Senada Grbic in the kitchen. Though the Grbic siblings didn't realize it at the time, that Bosnian-American style of cooking would set the stage for what would become Lemmons by Grbic, their two-month-old restaurant in Bevo Mill. 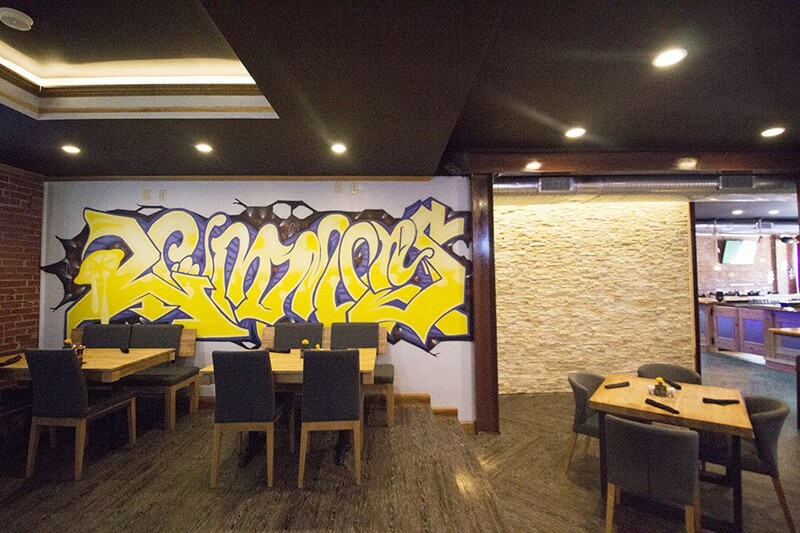 The Grbic operation is massive, consisting of both a large restaurant and a banquet hall. It's kept the family plenty busy for twenty years, but their father could not resist purchasing the old Lemmons when it went up for sale in 2014. Sulejman Grbic had always dreamed of having a place where people could go to watch a game and drink cold beer. His family thought he was crazy to take on another venture, but the patriarch promised he'd keep it simple and not sink any money into it. An old music venue, Lemmons was supposed to be turnkey. It should have been as simple as just changing the signs and opening the doors. It wasn't. 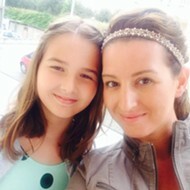 Once the Grbic family realized its condition, they decided to gut the place. Over the course of their renovations, however, their father developed health problems and could no longer lead the project. Handing over the reins to his children, he told them to take over and do with Lemmons whatever they wanted. Hearing his words was like a light switch, and they immediately knew what to do: They'd turn Lemmons into a culinary representation of their experiences growing up both Bosnian and American. This isn't the Lemmons you may remember from its dive bar days. If you ever went to the old Lemmons, in the moment you walk through the front doors of the newly minted Lemmons by Grbic, you'll realize that the Grbic family changed much more than the food. The place could be a contender for Extreme Makeover: Restaurant Edition. Once a typically dingy (yet beloved) south city dive, the new Lemmons is so bright, stylish and clean, you'll feel like a guest in Martha Stewart's home. Beautiful, grey-toned hardwood floors, exposed brick, a modern stone accent wall, and yellow décor (yes, there are lemon references everywhere) create a soft atmosphere, while small touches, including quaint mismatched salt and pepper shakers and wooden window shutters with carvings of St. Louis iconography, add a touch of whimsy. It's shocking to think this was once a place for Busch beer and pool. The siblings have a natural affinity for different aspects of the business, which makes it easy to divide the workload. Ermin is the front-of-house guy, with a penchant for hospitality evident to the family since the Grbic days. 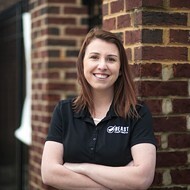 Erna does the marketing, the styling and the social media, and keeps the place running. The kitchen, however, is Senada's home, and judging from what's coming off her line, it's clear she's in the right role. The "Balkan Dipping Board" includes ajvar, kajmak, mushroom duxelle and ustipci. 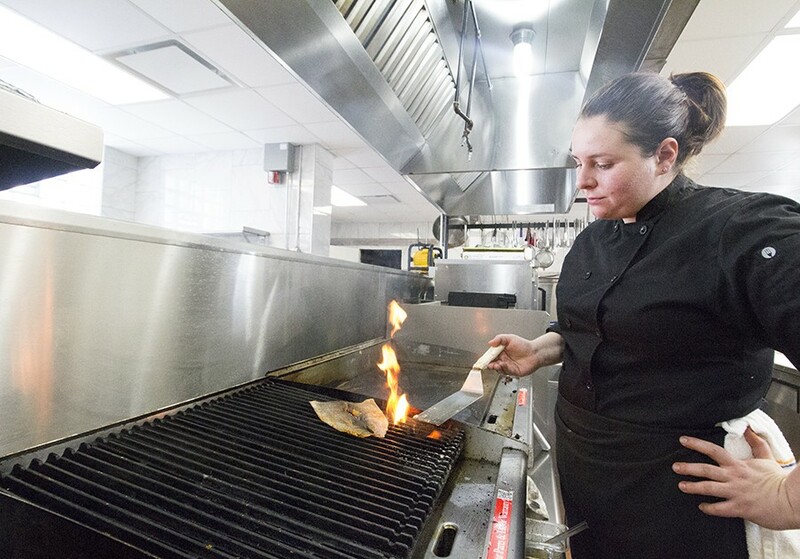 Senada has been developing recipes with her mother since she was eight, and her talent in blending Bosnian and American food is on display throughout Lemmons' menu. Balkan chicken wings present as traditional, sweet and sticky American-style wings, but a bite of their plump meat reveals the distinct plum sweetness of rakija, a Bosnian brandy. The liquor imparts a fruit-forward flavor that balances out the bracing heat of her chile-based seasoning blend. They're fiery but so flavorful you can manage the heat. On separate visits, every table in the dining room had the "Balkan Dipping Board." Why wouldn't they? 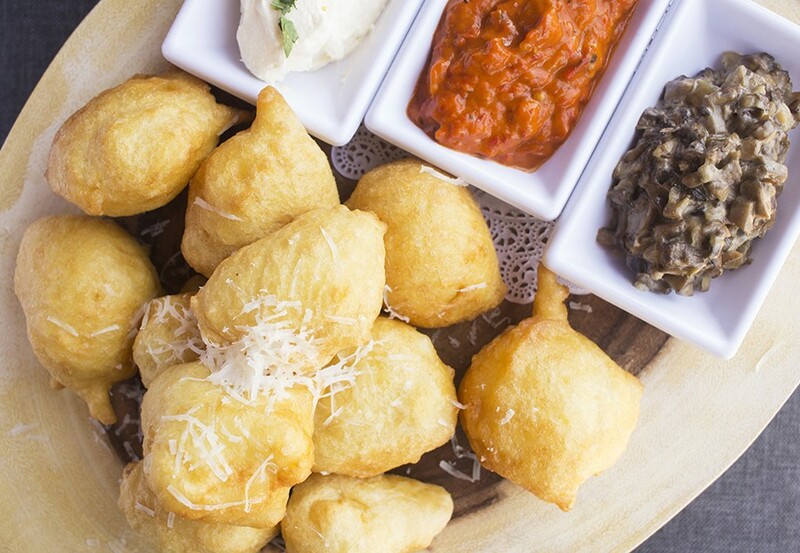 The appetizer consists of golf ball-sized fritters of ustipci, or Bosnian bread, with three sauces. The recipe is by Mama Grbic, who would often say that if you had a ball of ustipci dough in one hand and a feather in the other, the feather should be heavier. Senada has heeded her advice, producing the addictive, doughnut-like bread balls that serve as a base for the accompanying feta butter, mushroom duxelle and roasted red pepper dip — that is, if you can refrain from popping them in your mouth the second you lay your hands on them. Flatbreads again show the chef's prowess with dough. 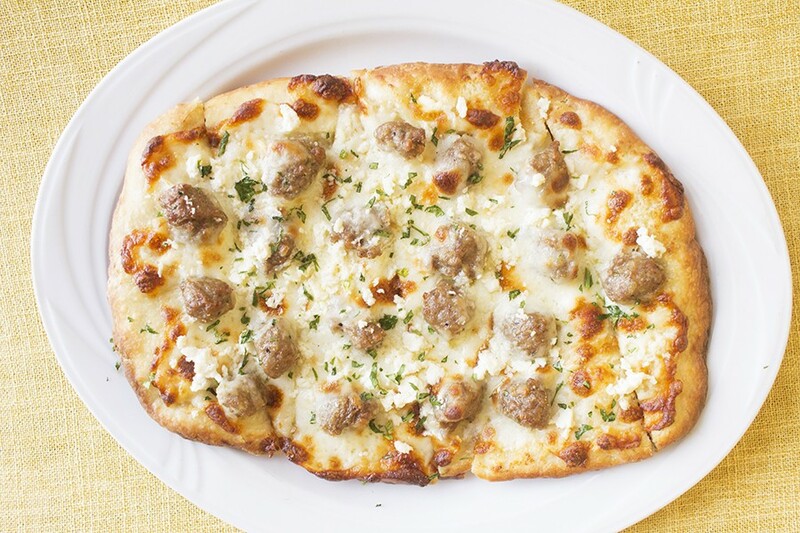 Homemade flatbread, about the thickness of naan, serves as the base for Lemmons' riff on a sausage pizza. Instead of American-style pork sausage, however, Senada uses cevapi, a mild Bosnian beef sausage, placing it atop the feta butter and mozzarella-covered crust. It's the satisfaction of cheese bread and beefy breakfast sausage wrapped into one wonderful dish. 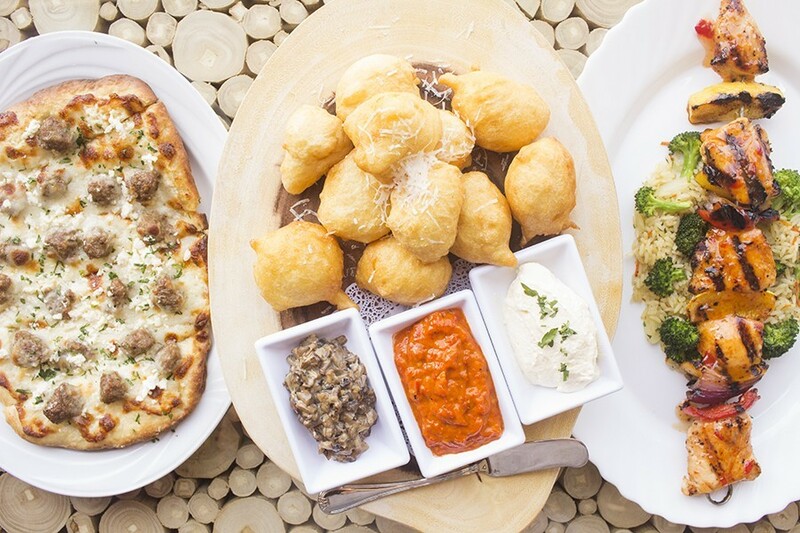 The cevapi pizza combines Bosnian sausage with an Italian classic. A light pasta called cresta de gallo, or rooster crest, is paired with chicken, zucchini, blistered tomatoes, feta and fresh oregano, its sauce simply made from the cooking liquids of the components. It's a pleasant, summery dish, as is a simple yet well-cooked chicken kabob, skewered with onions and red peppers and glazed with sweet chili sauce. When the original Lemmons opened decades ago, it made its name with its fried chicken. Each subsequent owner kept up the tradition, and Lemmons by Grbic is no exception. 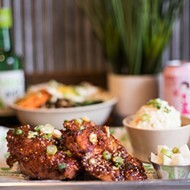 Though Senada admits that she knew nothing about frying chicken before realizing it had to be on her menu, she's developed her own unique take on the Southern staple, dubbing it the tongue-in-cheek "Not Lemmons Fried Chicken." Her version has a thick, black-peppery coating akin to what you'd find on a country-fried steak. She double-fries the meat so the exterior is extra-crispy but the meat stays succulent. The star of the dish, however, is her signature carrot and potato mash, which subs in brown butter for gravy. Sweet, nutty, savory, this side is a standout. 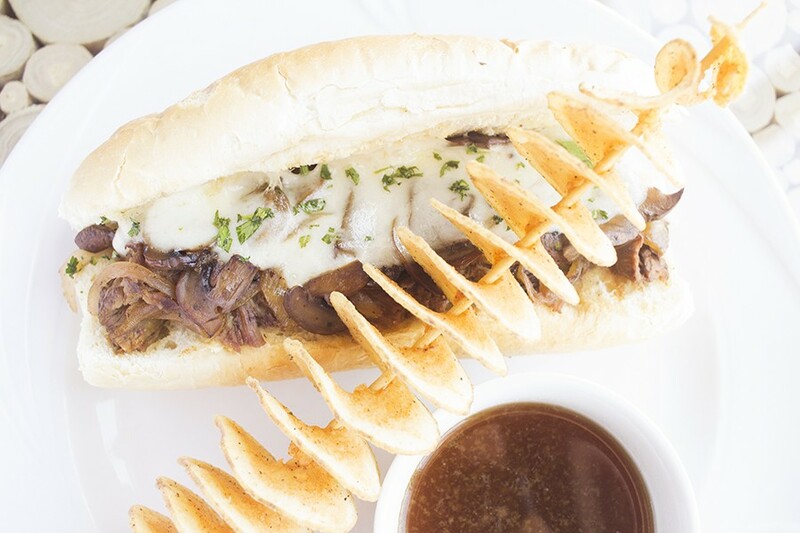 Braised chuck roast sits on a Balkan-style hoagie with caramelized mushroom and onions and smoked provolone. Lemmons' chuck sandwich succeeds where other roast beef sandwiches fail in that the meat itself is juicy. Usually, on something like a French dip, the meat is on the dry side and the accompanying dipping sauce provides moisture. Here, the accompanying jus is not necessary; the fork-tender meat has the consistency of pot roast. The beef is piled onto a crusty Bosnian bread, then accented with sautéed mushrooms, onions and melted provolone cheese. Call it a cross between a French dip and a Philly cheesesteak, but whatever the shorthand, it's the roast beef sandwich we've been dreaming of. While some will drift off thinking of that chuck sandwich, many will have their thoughts occupied by the "50/50 Burger," equal parts combination of ground beef and beef bacon. The meat comes from the Grbics' uncle, who has a nearby slaughterhouse and provides the restaurant with all its meat. His beef tends to be leaner, so Senada created the blend as a way to give the burger a little more fat. The byproduct, however, is a juicy patty that has a gentle essence of smoke. The meat is topped with provolone, jalapeño sauce and an over-easy egg that's been seasoned with Vegeta, a mild Bosnian spice blend. The burger is so good, the man next to me whipped out his phone mid-burger to post an on-the-spot, five-star Yelp review. 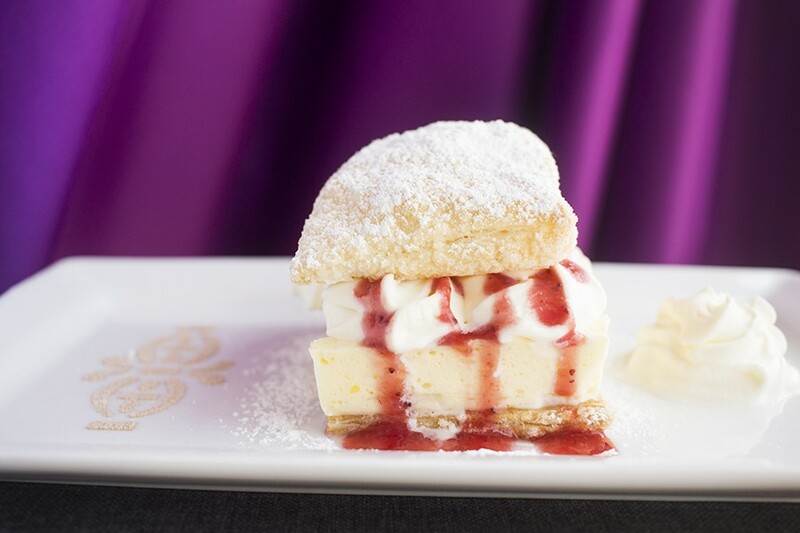 The "Modern Krempita" is topped with whipped cream and strawberry coulis. Though it may seem like an impossible feat at this restaurant, saving room for dessert is a must. If you can't get enough of that fry bread, it makes an appearance in sweet form as part of the "Dessert Dipping Board," this time paired with whipped cream, chocolate and strawberry sauces. If the kitchen's bread is light, the dough for the "Modern Krempita" is barely more than air. Two pieces of the flaky, square-shaped puff pastry are layered with strawberries and cream like a sandwich. It's a masterful blend of upscale European pastry and down-home strawberry shortcake. It's no surprise that Senada, Erna and Ermin have mastered this balance — they've been doing it their entire lives. What is surprising is that, after we've enjoyed decades of rich Bosnian traditions in St. Louis, it's taken us this long to realize a place like this one. But no sense bemoaning the lost time. Lemmons by Grbic is well worth the wait.